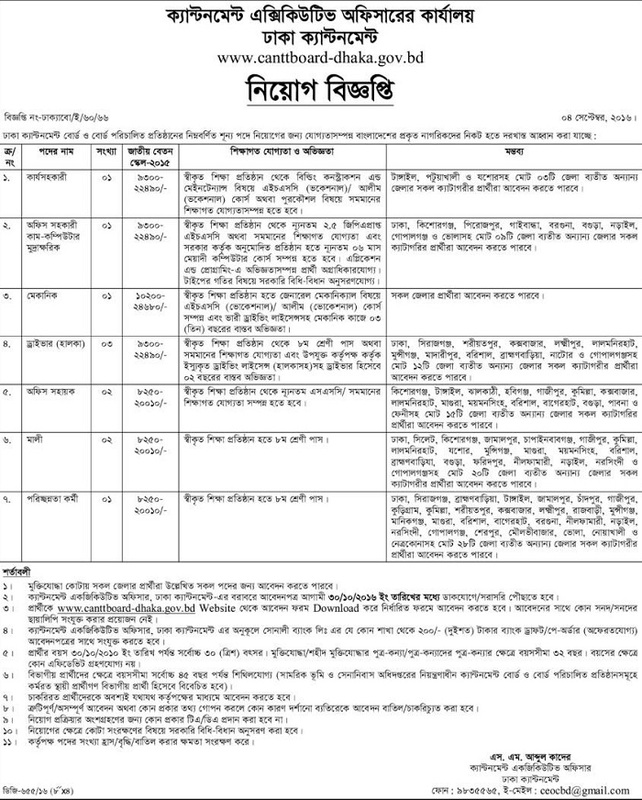 Today New Jobs circular published on www.canttboard-dhaka.gov.bd . Check Cantonment Executive Job Circular September 2016 at www.ejobscircular.com . You can Apply this BD jobs circular Easily. Hope You read carefully this circular. Now time to apply ! Get Daily Upcoming Jobs circular like govt. jobs, Teacher jobs , Bank jobs etc. Thanks for Stay visiting our website.. This entry was posted in Company Jobs, Dhaka, jobs Newspaper, Prothom alo jobs by ejobscircular. Bookmark the permalink.